I've got a Mac mini that I would like to run headless; leaving plugged in to network and power only. Run Dropbox constantly, so that I have the local copy backed up to the Mac mini. Run a cloud backup service so that my Dropbox data is backed up again. If there is a power cut, I want to make sure that the machine reboots and logs back in so that tasks 1. & 2. above can run. This can be partially achieved by powering the Mac mini via a UPS, although if the power cut was long enough the UPS would also fail. Knowing if the systems fail, so that I can fix them. I wouldn't want the systems to fail and me not know for 6 months. Are there some specific settings I should be looking at in macOS to enable me to leave it running constantly carrying out tasks 1. & 2. above? Under System Preferences → Energy Saver → Power Adapter, enable Restart after power failure. Turn on automatic login by going to System Preferences → Users & Groups → Login Options → Automatic Login and select your preferred user account. You may also wish to install and run a helper app that can prevent your Mac mini from sleeping automatically. I'd recommend installing KeepingYouAwake. Enabling number 1. above will ensure that your computer boots automatically after a power failure. This will ensure that the computer boots automatically after the power is restored. Number 2. will automatically log into your preferred user account after a restart, thus requiring no user intervention to start things up. Number 3. will ensure your computer never goes to sleep mode. You can configure the app to startup automatically upon system start. Doing above three should ideally take care of your requirement. You have to make sure that no unauthorized personnel is able to access your computer physically. Then make sure you screensaver, if enabled goes on after a set amount to time otherwise it will go to sleep. 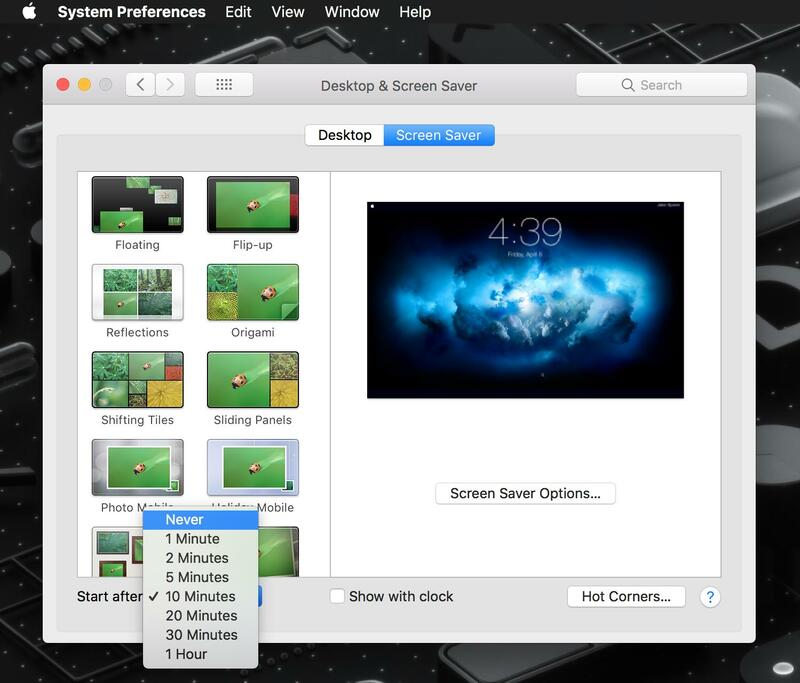 Turn it off by opening the Desktop & Screen Saver preference pane in System Preferences then selecting Never in the drop down box in the bottom left corner of the window. I would recommend a little program called InsomniaX 2. It works flawlessly for me. That program should solve your problem. Not the answer you're looking for? Browse other questions tagged macos mac-mini . 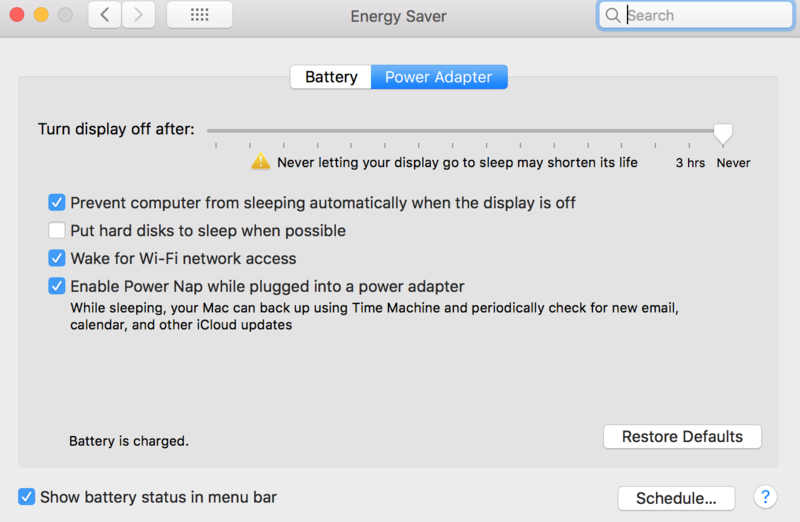 How can I keep my Mac awake AND locked? Can one Mac mini run twelve displays? How to setup Mac mini server for remote access?